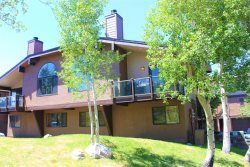 Vacation Property Management Services in June Lake. Our family welcomes you to June Lake Accommodations where our mission is to help property owners and vacationing families enjoy their time here in June Lake. We want our owners to realize more profitable occupancy of their vacation properties. Our family values determine how we operate our business and we appreciate all opportunities to help vacationers and property owners realize their goals and ambitions here in the June Lake area for years to come. We call it “The Loop” because of the unique nature of the High Sierras in providing a natural loop from one end of the highway to another. Because of this there are properties situated in many different environments, from the charming June Lake Village on down the canyon into forested areas with crystal clear creeks running through the front yard. Yet, regardless the location, one thing always remains the same — our commitment to excellent service. Attention to details and one of a kind personal relationship that you just won’t find with other property management services are what sets us apart. Along with my wife Lynn and our senior agent Lydia, we manage vacation homes and condos throughout the June Lake area providing a valuable service for homeowners who may not live in the area. In turn, we eliminate the hassle of renting, maintenance and the general stress that comes with property ownership. Creating a unique working relationship with each homeowner, we treat each house, condo and cabin under our management umbrella as if it were our own, allowing each to flourish at its full potential in direct accordance with the owners desires. In a geographic area such as June Lake, where preventative measures are essential to maintaining a thriving property, we take pride in our work and are continually adjusting our weekly property maintenance practices with each change of season. And if you are a vacationer looking for a quality condominium, cabin or home, you’ll appreciate our wide selection of vacation rentals along the June Lake Loop. Our rental accommodations are very clean, very well maintained and very cozy. Our family will treat you as family, and we hope to earn your repeat visits to June Lake for years to come. book online, and be sure to call if you need assistance planning your next June Lake vacation. We love this area and can help you have a great vacation that includes skiing, fishing, biking, hiking and enjoying as nice meal out. In June Lake property management business, we take pride in where we live, and we feel privileged to share our beautiful community with all who visit.